Juicing has been rising in popularity as a powerful cleansing and diet tool around the world. But in order to properly juice, you must avoid all solid food during the cleanse. All solid food. Having second thoughts? There is a healthier way to get all the benefits of detox without juicing—and you can eat tasty solid food. To properly flush out the toxins, your body must function normally and some extreme forms of cleansing will interfere with your body’s natural processes. We will cover 10 steps to ensure a safe and healthy detoxifying process. These days “detoxifying the body” refers to the process of removing all toxins from your system while making lifestyle changes to aid in the progression. This can involve avoiding certain, or all, solid foods as well as enhancing the process by using digestive aids. The “toxins” are the result of our diet choices such as trans fatty acids and alcohol, effects from our environment such as pollution, and any chemicals we may ingest. There is much controversy over whether we need to detoxify our bodies beyond the natural flushing out processes of the liver, kidneys, and colon. Our liver is our biggest defense as it filters toxins and waste from your bloodstream. The colon’s bacteria prepare the waste products that are flushed out from your body. Your kidneys constantly filter your blood to get rid of toxins through urine. To cleanse or detoxify all toxins from our body, it is vital to nourish these involved organs with proper nutrients, as well as the rest of our body. To assist our liver, colon, and kidneys with detoxification, we have collected a list of steps to take to keep them in fighting condition. The physical body will be rewarded with the cleansing, and your emotional and mental states may improve as well. The first step in any cleanse is to get rid of any chemical-treated foods such as processed food and flour, and sugar. These products are hard to digest and create an addictive environment. Without the load of junk food additives, your body will have the ability to detox more easily. Consume fresh food that is as close to its raw state as possible. Choose seasonal organic fruits and vegetables, whole grains, free-range chickens, cage-free eggs, and wild-caught fish. Basically, any product that has a product and ingredient label packaging should be avoided. A high-fiber diet can help maintain a healthy digestive system by keeping the bowels moving normally. 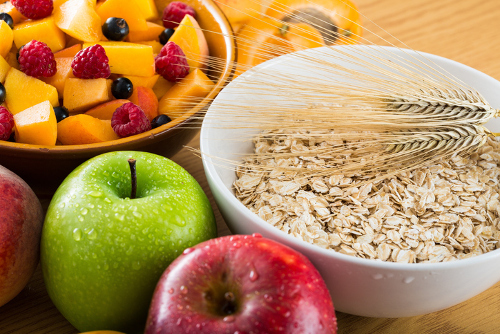 Soluble fiber can slow the absorption of sugar, reducing the likelihood of blood sugar spikes that may lead to diabetes. It may also help prevent inflammation, food intolerance, and bloating. Consume plant foods such as legumes and non-starch vegetables. Use fresh fruits and vegetables with non-soy and non-dairy protein powder to kick start your detoxification process. Combine with organic avocados, almond milk, unsweetened coconut, berries, and antioxidant-enriched greens. Flush out toxins by drinking water throughout the day. The commonly recommended intake is eight 8-ounce glasses of water daily. To prevent a loss of protein enzymes from too much water, avoid water with meals. 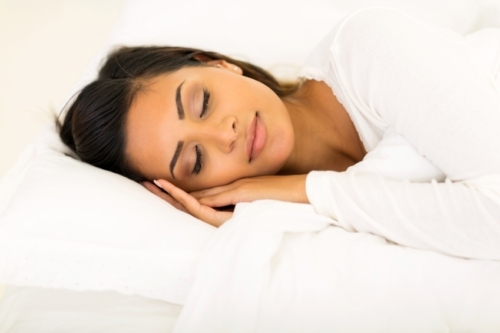 At any time, our body needs to be well rested to function. This holds true during the detoxification process as well. To improve your sleep habits, detox your body and mind in baths of lavender and Epsom salt. Use earplugs and an eye mask to block distractions. As you eat, put fork down after every bite and really enjoy the flavors of the food. Avoid use of cell phone, television, and books while you eat. This will enable your body to better digest your meal and trigger satiety early. Participate in regular exercises such as walking, running, yoga, or even an activity class. If you are up for it, high-intensity activities have been said to stimulate the digestive and lymphatic systems, which release toxins from the body. To prepare for a response, many functions within your body cease to work when your brain senses stress. Try to relax with meditation or yoga or distract yourself from the stress with an enjoyable activity such as watching a movie or spending time with friends. While many detox programs suggest skipping a meal to give your body a break, eating three meals a day actually helps the detoxification process. Minimize snacking during this time as your body needs time to digest the previous meal. Detoxing has been a go-to diet trend and cleansing tool for many people over the years. Reports of health concerns arising from certain detox programs have left consumers desiring of safe and effective ways to reenergize their bodies. 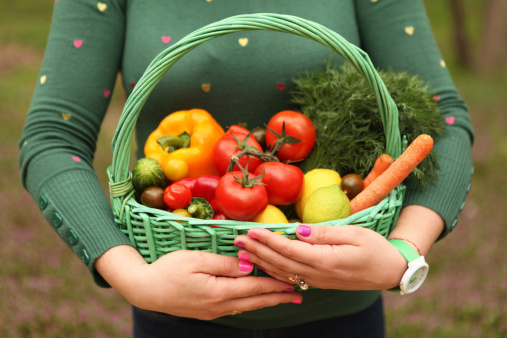 Maintaining proper nourishment and avoiding processed foods will help your organs flush out toxins as they are meant to—without the damaging side effects. You should discuss your plans for any detoxification program with your doctor, especially if you have any medical condition that requires prescribed medication. Prestejohn, D., “8 Tips to Detox Without Fasting, Juicing or Restricting,” Mind Body Green, August 15, 2013; http://www.mindbodygreen.com/0-10590/8-tips-to-detox-without-fasting-juicing-or-restricting.html, last accessed February 10, 2017. Baker, L., “How to Detox Without Juicing or Giving Up Food,” One Green Planet, August 26, 2014; http://www.onegreenplanet.org/natural-health/how-to-detox-without-doing-a-juice-cleanse-or-giving-up-food/, last accessed February 10, 2017. “How to Detox Without Cleansing, Juicing, or Fasting,” Positive Med, September 26, 2016; http://positivemed.com/2016/09/26/how-to-detox/, last accessed February 10, 2017.